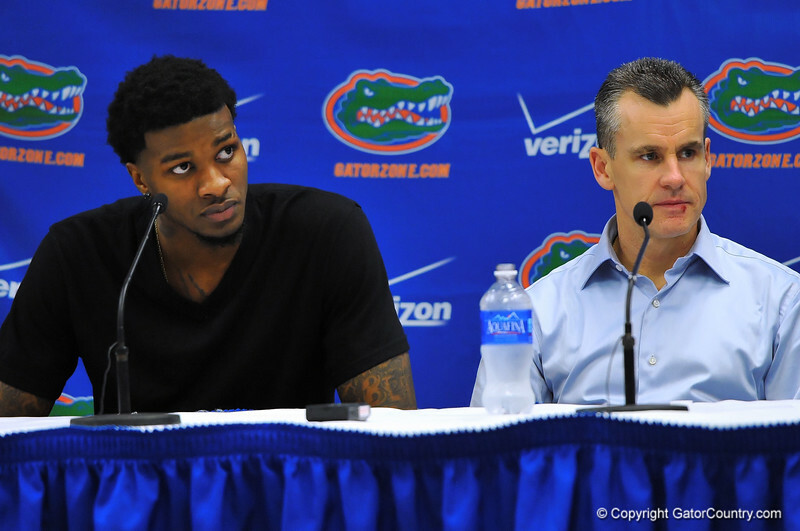 Florida forward Chris Walker and head coach Billy Donovan talk with the media following the Gator win. Florida Gators vs Missouri Tigers. Feb 4th, 2014. Gator Country photo by David Bowie.